Doddington is a village and civil parish in Cambridgeshire, 4 miles (6 km) between Chatteris and March. Historically, Doddington was one of the largest parishes in England. The population of the civil parish as of the 2011 census is 2,181. 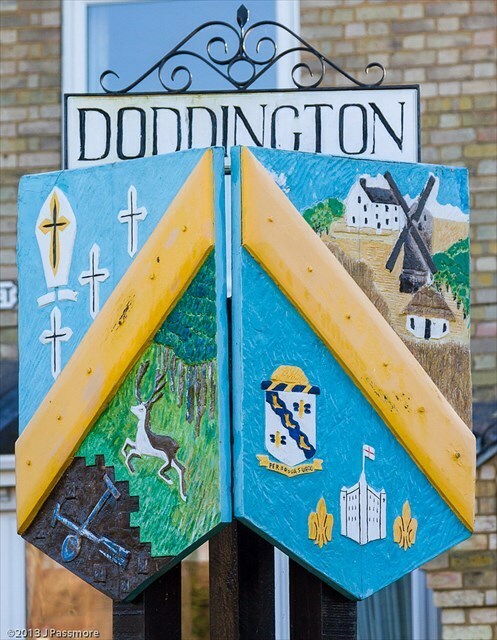 Under the Doddington Rectory Division Act of 1856 it was divided into seven rectories, Benwick, Doddington, Wimblington, March Old Town, March St Peter, March St John and March St Mary. In the centre of the village is a clocktower built in 1897 to commemorate the Diamond Jubilee of Queen Victoria. The village is also notable for its large carnival held on the first Saturday in July, followed in the afternoon by a children's sports event. Set in Fenland, between Chatteris and March, Doddington has two churches, St Mary’s Parish Church and the Methodist Chapel. The village has almost 1000 dwellings.